In the first half of the previous century, the popularity of Vaudeville, Chautauqua and Lyceum kept thousands of performers, magicians included, fully employed. These venues, coupled with nightclubs, private dates and clubs produced heady days of success. After the advent of the first motion picture talkies, then later, television, many performers were left to wonder where they could work and survive. Such was the case of Silent Mora, a well-known and popular Vaudeville performer with expert manipulative skills. Mora traveled the country, who managed to continue contributions original articles and tricks to the magazines of the day, and a frequent correspondent with his fellow magic stars. 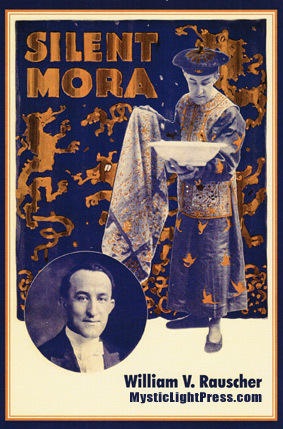 Few magicians attain the household recognition of Houdini, Thurston, or Kellar, who were America's favorite magicians of their time. Most are forgotten by the general public today. However, Mora was popular among the magic fraternity, and deserves a brighter spotlight in magic history. This book is an effort to resurrect his memory and imprint his name and magic onto theater history. Over 235 Pages with hundreds of photos. 60+ pages of color and includes Mora's lost notebook. Published 2014 by 1878 Press.